Solid investigative work by Jacy Marmaduke. 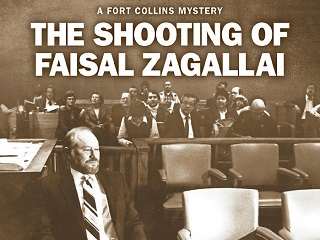 A fellow journalist at newspaper the Coloradoan, Jason Pohl, tweeted: ‘You don’t see #truecrime storytelling like this often at local papers. Profound work by Jacy Marmaduke.’ We agree. Tafoya never paused before answering [questions in court]; never minced words; never “danced” with the prosecutor, as [lawyer Scott] Robinson calls it. Never followed a “yes” with a “but” — the cardinal sin of witnesses. And most importantly, he truly seemed to believe the story he told the jury: [tycoon Edwin] Wilson hired him to “deliver a message” to Zagallai. He chatted with the Libyan dissident for 10 or 15 minutes, and when his wife left the room he leaned in close. Tafoya’s other lawyer, Walter Gerash, wore a green beret to court every day. We’ve deliberately here dangled a truncated morsel of Marmaduke’s work. Bookmark this one to read and savor over the holidays.